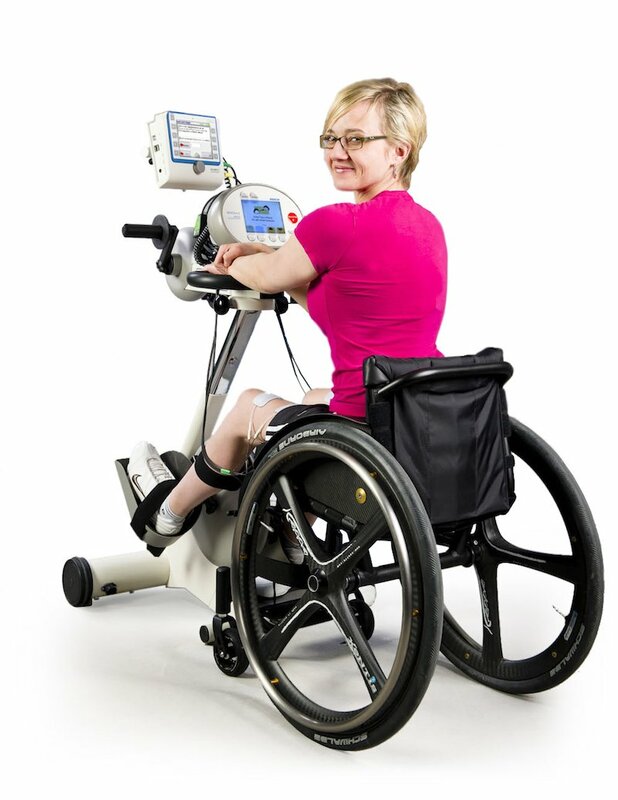 Hasomed’s RehaMove is a Functional Electrical Stimulation (FES) cycling system that allows individuals with weak or paralyzed legs to actively cycle an ergometer by stimulating the muscle with a small, safe electrical current. The RehaStim also may be used for many other applications, such as sit-to-stand, crawling and gait training. 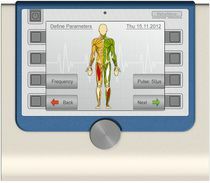 The RehaMove has eight channels to stimulate up to eight muscles with attached electrodes. Through active cycling, an individual can use his or her own muscle power to create force. This type of therapy leads to improved muscle tone, increased strength, fewer spasms and better circulation, as well as the benefits of light cardiovascular exercise. Enable Me is the U.S. distributor for RehaMove and RehaStim. “I discovered the Hasomed FES and MOTOmed as part of the rehabilitation process at Tampa General Hospital. I worked with a therapist … to ultimately reach my rehabilitation goals and also my goals in life. Rehabilitation and physical activity are not only once-a-week clinic visits or a series of exercises. It’s part of a lifestyle. “At rehab, I heard about Chicago’s Skyrise Challenge, which involves climbing the Sears Tower of 103 stories, or 2,232 steps.